Want all the latest and greatest tech in a smartphone that doesn’t cost the earth? That’s the appeal to Chinese brand Honor, whose new flagship smartphone - the Honor View 10 - took CES 2018 by storm. 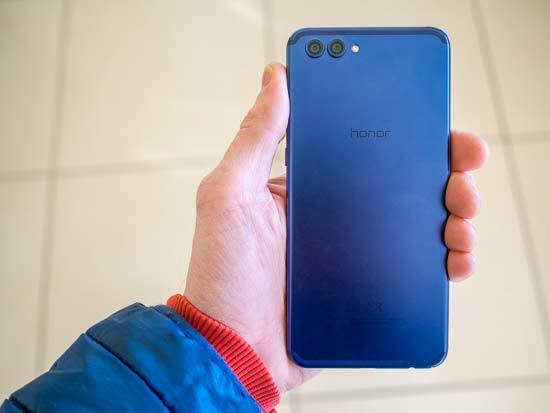 Honor is under the radar in the UK right now, but we wouldn’t expect things to stay that way. The brand, whose parent company is Huawei, is already popular in China and we can see why - you’d struggle to get more bang for your buck. 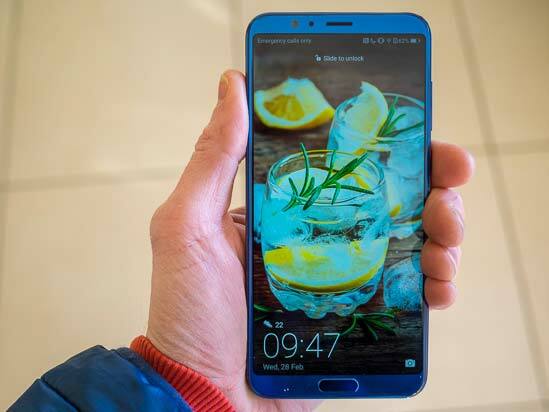 Features wise, the Honor View 10 is similar to the Huawei Mate Pro 10 and OnePlus 5T, thus mixing things up in the ‘affordable’ market. For context, you could get two of this extremely capable smartphone for the price of one from other leading brands, such as Apple and Samsung. We were at the UK event prior to CES when the Honor View 10 was first announced (and when the Honor 7X was officially launched). We've already reviewed the Honor 7X and the Honor View 10 follows a similar formula. However, it has all the bells and whistles you could hope for and all at sub £500. Camera spec wise there are 20MP and 16MP twin rear-facing cameras each with f/1.8 apertures, plus a 13MP front-facing camera. You can even shoot in RAW format with one of the rear cameras. There’s also 4K video at 30fps and FHD videos at 30fps, 60fps and 120fps for slow motion. You’ve also got a lavishly generous internal storage of 128GB, support for micro SD and a battery life that’s up there with the best of them. It all looks very promising indeed. 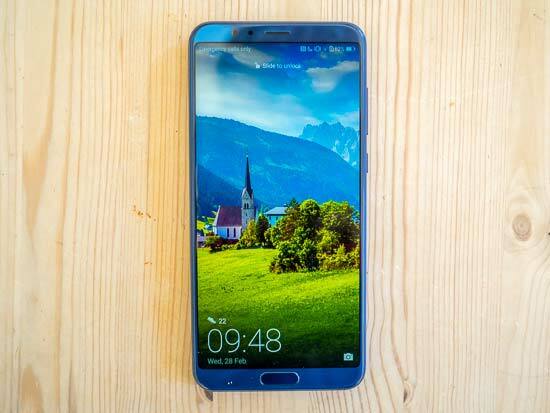 The Honor View 10 is available now and its RRP is £449. For more details about the phone please visit the Honor website. Before we get onto the camera side of things, let’s take a quick look around the Honor View 10 phone. Design wise, you get a 6in screen in 18:9 format. It’s pretty much the same as the one found in the Honor 7X, with 2,160x1080 (FHD+) resolution. Prepare to be wowed by this wonderfully crisp display. It’s a tough display too. When we were first shown the phone last year, the Honor team threw it about on the floor to demonstrate its strength. You’d have to be quite intentional to damage this device. The phone is encased in a premium metal body and is available in two colours; Midnight Black and Navy Blue. At 6.97mm thick, the View 10 is thinner than some competing phones. 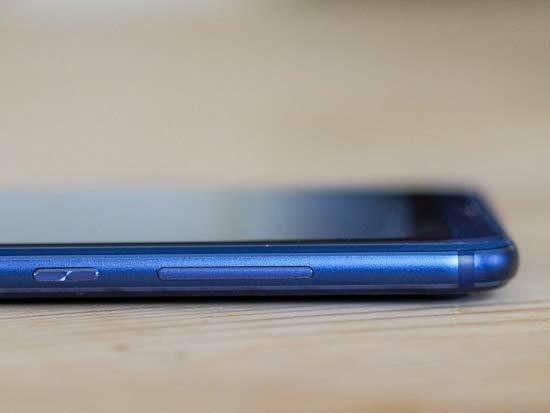 The Honor View 10's rear has a smooth texture that is a little slippery. We appreciated a protective case for the phone, not least of which to get a better grip. You will struggle to take pictures holding this large phone with a single hand, requiring your other hand to prevent it from tipping. Additionally, holding the phone in both hands to take pictures will reduce shake, which is important because the camera does not feature image stabilisation (more on this later). To start up the phone, there is dual face recognition ID and embedded fingerprint sensor in the front glass. In one sense we prefer the fingerprint sensor on the cheaper Honor 7X, but it’s a matter of personal taste. Otherwise, a swipe of the screen will wake the phone up, while it is also possible to activate additional shortcuts to the camera app. One example is a double tap of the volume control for an ‘Ultra Snapshot’. Battery life is seriously impressive. The 3,750mAh unit provides up to 21 hours 4G browsing time and can be charged to 50% in around 30 minutes with the super-charge option. It’s entirely possible to take the phone away for the weekend without a charger. You get dual SIM card slots, with dual 4G & volte support, meaning it is possible to make an internet call while your other functions like web browsing remain at full capacity. There is a slot for a micro SD card and the phone will support cards up to 256GB capacity. You may not need an SD card though, because internal storage is a whopping 128GB. Honor isn’t holding anything back here. Operationally, the Honor View 10 handles smoothly and we did not encounter glitches during our test. With 6GB of ram and the same processor as found in the Huawei Mate Pro 10, it’s little wonder. Of more interest to us is how the camera benefits from AI and we’ll look more into this area shortly. So, all good so far. Let’s move on to the camera spec. On paper the Honor View 10 possesses one of the most impressive cameras in a any smart phone. If there is one feature to get us excited here at Photography Blog, it’s the dual rear camera setup. You get 20MP and 16MP rear-facing cameras, both with 27mm f/1.8 lenses. Those are the sort of specs that only the best phone possess. That 20MP camera is available in Pro Photo Mode, where RAW format is available. Switch to the other camera with 2x magnification - where the focal length is 54mm - and its the 16MP camera. In addition there is a 13MP front-facing camera. Honor is intent on marketing the AI element of the camera, which offers an ‘unparalleled' fast image recognition of 33 images per second and 13 intelligent scene recognition, all of which are built-on by ‘deep learning’ AI. What does that marketing speak mean in reality? The Honor View 10 should select the correct exposure settings in more situations. For example, AI motion detection uses tracking prediction in order to freeze movement rather than let it be blurry. Take a picture in the snow like we did during the recent UK blizzards and the snow symbol pops up on the display to tell you exposure is being adjusted accordingly. You get the idea. Portrait Mode uses segmentation to separate subject from the background in order to then blur the background. Furthermore, the ’segmented’ subject can be extracted and placed onto any background. Clever. This technology should create lovely portraits and is available for selfies, solo and group pictures. Unlike the mid-range Honor 7X which has a modest video specification, the Honor View 10 boasts a good feature set. This includes 4K video up to 30fps and FHD video at 30, 60 and 120fps. 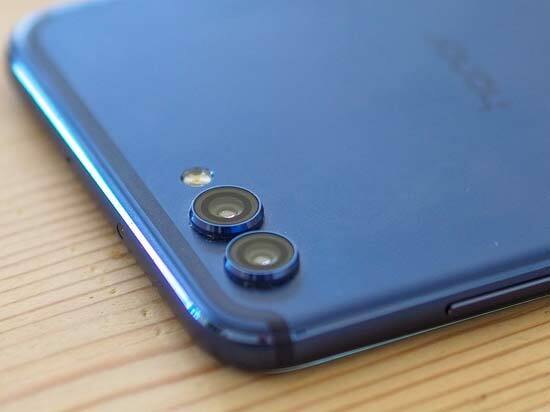 If there is one thing we’d love to see on the Honor View 10, it is some sort of image stabilisation. Sure the f/1.8 aperture is wider than most and helps to maximise light intake (therefore quicker shutter speeds), but handheld images are susceptible to being soft in low light mainly due to camera shake. So there are some of the specs. How about how the Honor View 10's camera app handles? The app is laid out the same as in the Honor 7X. The large edge-to-edge screen is in 18:9 format, which makes for a clean looking camera app with clean live view display. Like in the Honor 7X, swiping to the left brings up the shooting mode menus. There are heaps to choose from, including Photo (auto), Pro Photo, Video (auto), Pro Video, HDR, Panorama, Light Painting, Time-Lapse, Slow-Mo, Filter, Effects, Watermark, Audio Note plus More. Again, swipe to the right and the Settings menu appears. Options here depend on the shooting mode, but include access to image Resolution, GPS tag, Priority save to SD card, Mirror Reflection (front camera), Mute, Timer, Audio Control, Touch to Capture, Capture Smiles, Object Tracking, Touch & Hold Shutter, Volume button unction and Ultra snapshot. On the main camera screen you have quick access to library, photo and video modes, plus direct access to the Flash Mode, Wide Aperture activation, Portrait Mode (where the second rear-facing 16MP camera is accessed), Moving Picture and switching between front and rear cameras. When certain shooting modes are selected, a couple of sliders appear at the bottom of the screen, in order to make manual adjustments to the severity of the effect. If you like an effect but not the default settings, then you can dial it up or down a notch. All in all, that is a lot of controls and modes on offer, but it is all laid out really well and handles intuitively. Operationally, the front camera is selfie heaven. The automatic remote capture functions include smile detection, audio detection when you say Cheese, touch shutter, plus gesture where a 3 second timer is activated once your palm is detected. According to Honor, the View 10 features phase detection auto focus that can acquire a sharp focus in as little as 0.18 seconds. In practice, AF seems very quick when the lighting is bright. Unsurprisingly, find yourself in low contrast light and there is a little more focus hunting. Over time you may find some out-of-focus low light shots in your gallery (which may also be the lack of IS). This is a phone after all. There is an option in one of the menus to activate object tracking AF. Tap the screen on your subject and the phone should track it. We’ve not tested this extensively, but in everyday scenarios tracking AF works well enough. Pro Photo Mode will make experienced photographers feel right at home. In this mode it is possible to manually select shutter speed, exposure compensation, ISO and White Balance. This mode offers the maximum 20MP resolution, plus RAW format. Tap the info button when viewing images and there is a wealth of information about it; exposure settings, focal length, file size, GPS and a full histogram. Photographers of any level will find plenty to sink their teeth into and to enjoy with the new Honor View 10.